With its hot-dip galvanised, colour-coated mild steel construction, the striking angular profile of Lander makes an impressive statement…yet still manages to look – and feel – welcoming and comfortable. And it takes on an even more inviting appeal with the addition of the optional Mannheim or Florentine-styled arm. 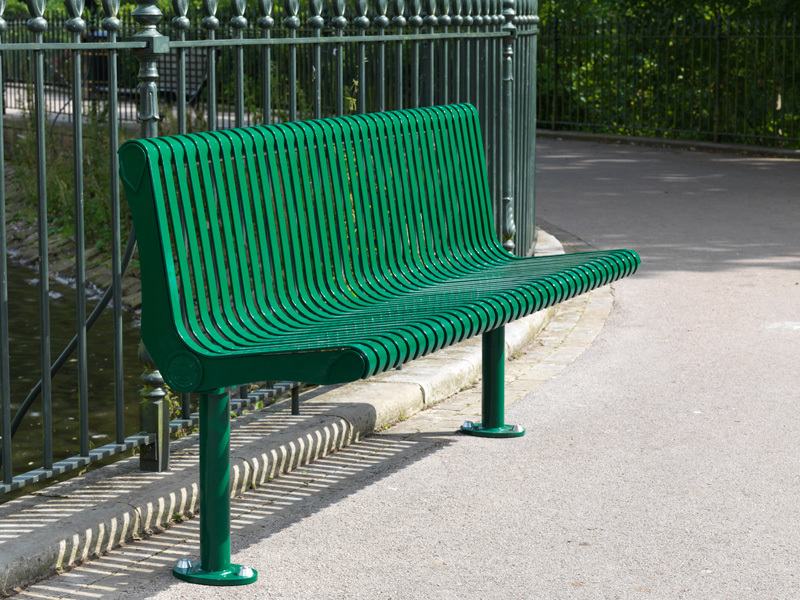 Inspired by the strength and rigidity of 21st century airframe construction, the hot-dip galvanised, colour-coated mild steel Tula seat is engineered to combine rugged all-weather performance with an ergonomic profile that provides excellent support. 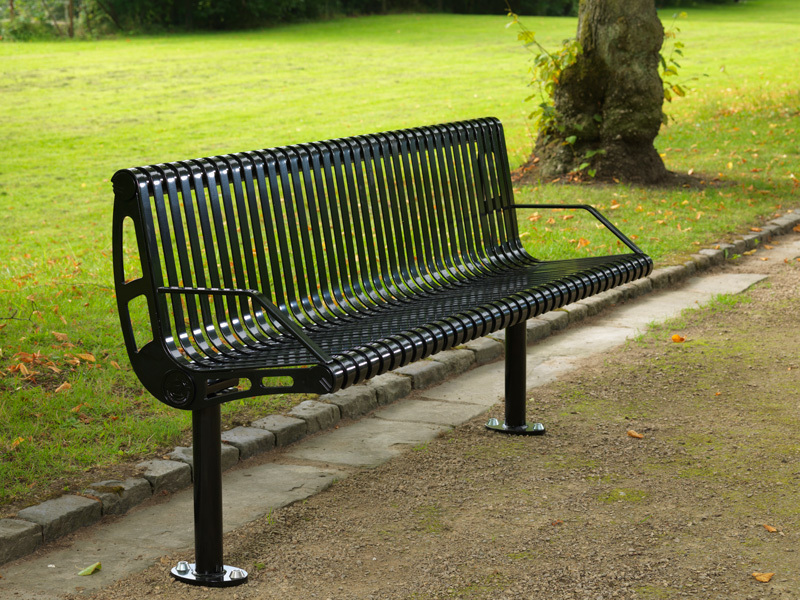 The Tula seat can also be fitted with the precision sculpted Florentine or Mannheim-styled arm. 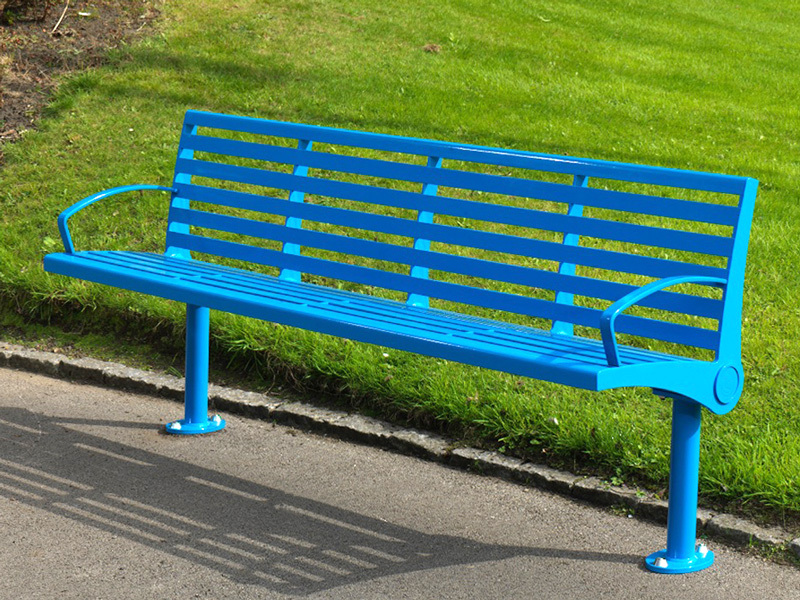 Designed in the spirit of form follows function, the Embden seat is constructed in tough, hot-dip galvanised, colour-coated mild steel and shaped along clean, simple lines to deliver a no fuss, no frills, smart seating solution. 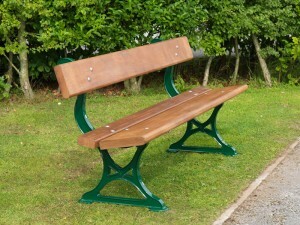 The Embden seat can also be fitted with the Mannheim-styled arm. 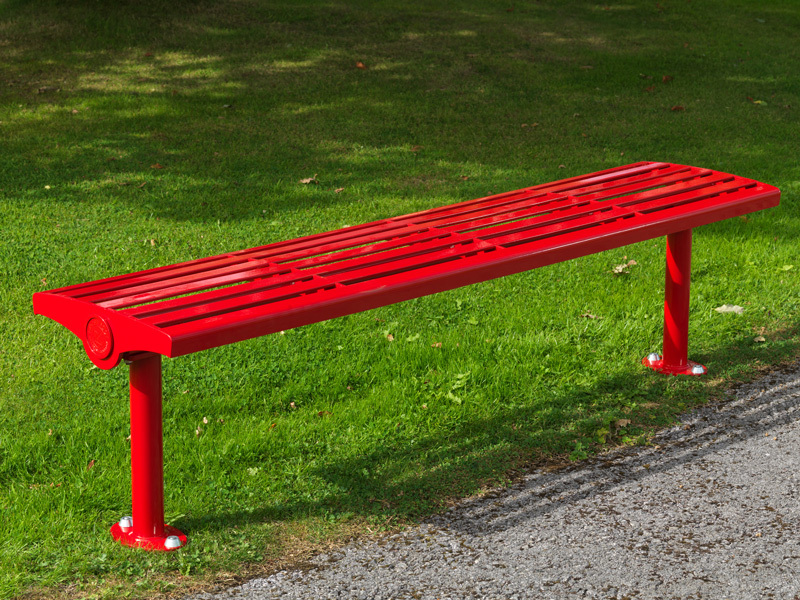 Designed in the spirit of form follows function, the Embden bench is constructed in tough, hot-dip galvanised, colour-coated mild steel and shaped along clean, simple lines to deliver a smart solution. 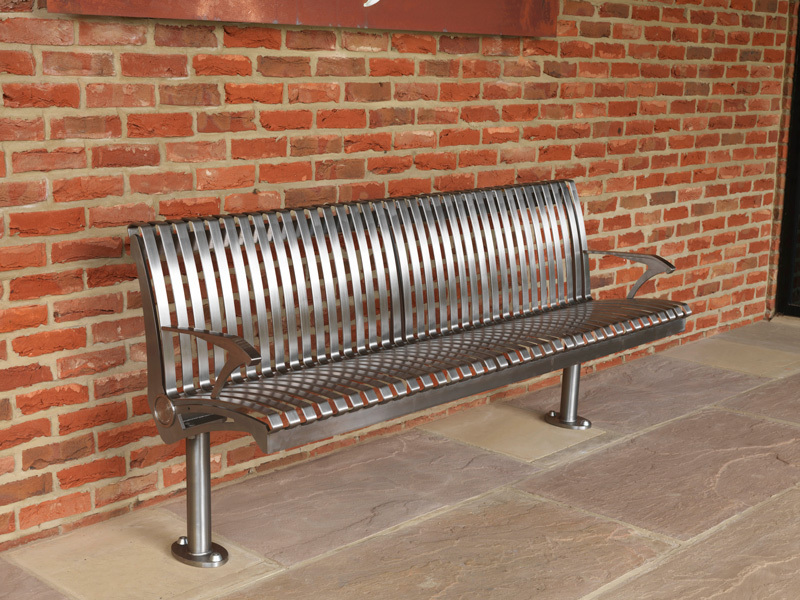 With more than a nod to bygone days, Brecon recreates a design classic that has graced parks, gardens and public spaces for generations. With colour-coated cast supports and heavy hardwood slats from renewable sources, this latest version promises to be every bit as durable. 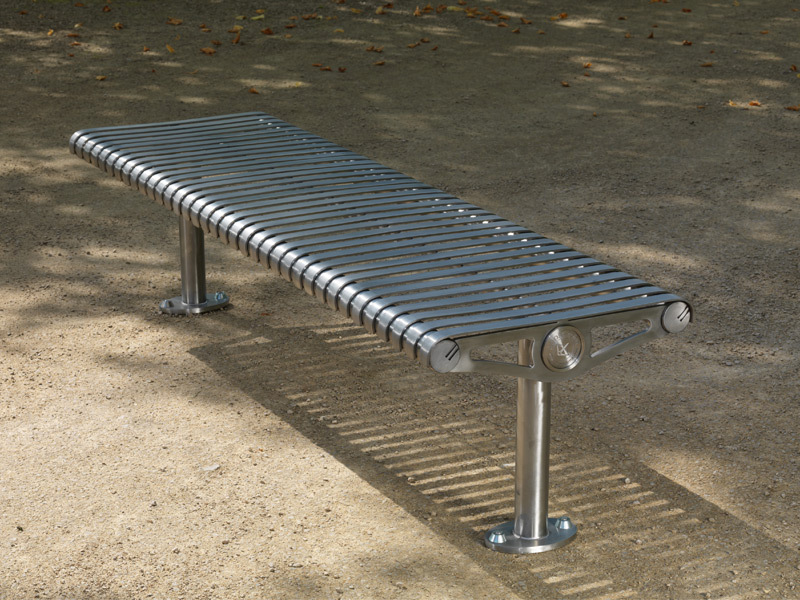 Inspired by the strength and rigidity of 21st century airframe construction, the satin-polished stainless steel Tula bench is engineered to combine rugged all-weather performance with a distinctive and contemporary profile. 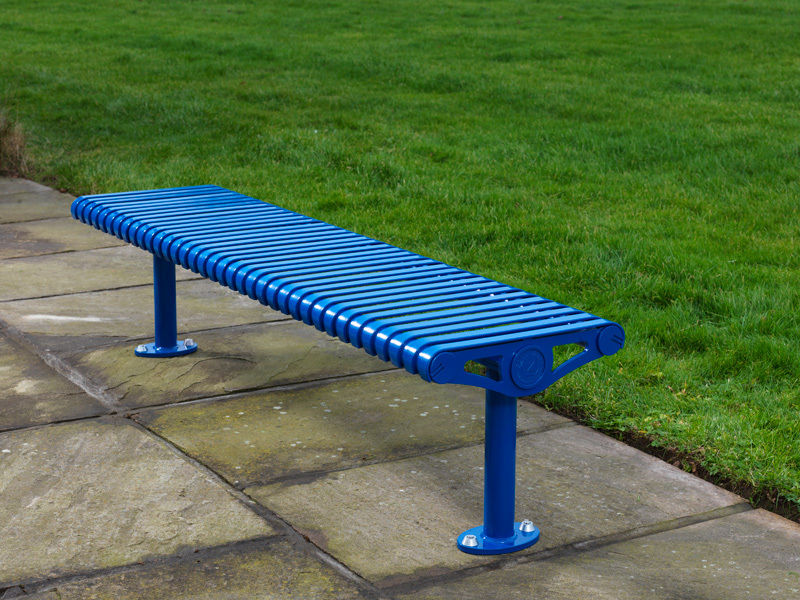 Inspired by the strength and rigidity of 21st century airframe construction, the hot-dip galvanised, colour-coated mild steel Tula bench is engineered to combine rugged all-weather performance with a distinctive and contemporary profile. 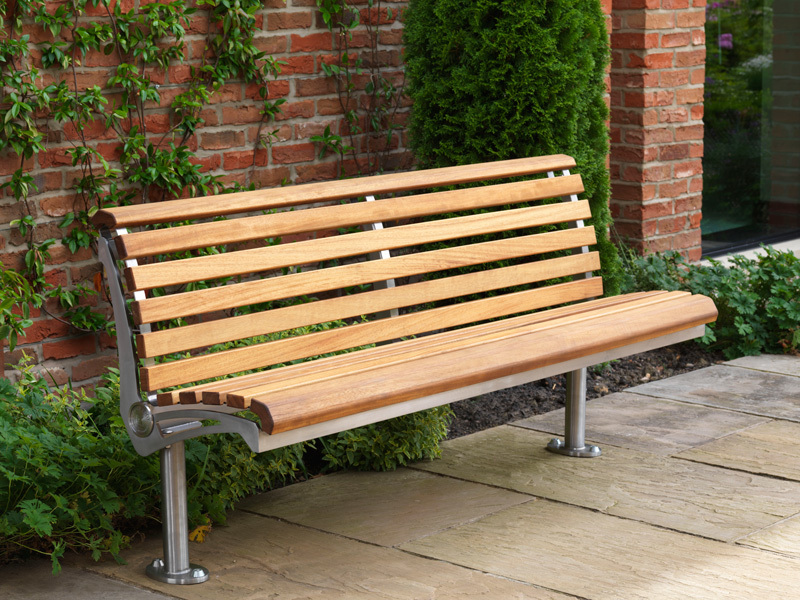 With a satin polished stainless steel frame and slats, Magellan combines graceful curves and contours with impressive strength and all-weather durability in a seat designed for comfort, style…and outstanding performance. Magellan is shown fitted with optional arms styled after Lalique’s Spirit of the Wind. 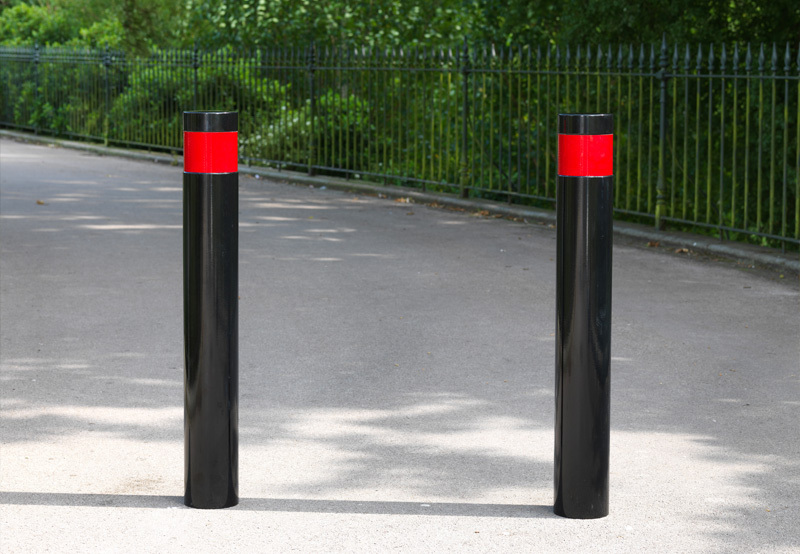 This flat top bollard has a contemporary style and adds elegance to the surrounding landscape. The heavy wall construction and sheradised, colour-coated finish add further to its durability.